Coming up in this week’s edition of the Coffee Break Magazine: Alba asks, ¿a quién admiras más en el mundo? – whom do you admire most in the world? Mark joins Fernanda on a virtual tour of Havana; and JP and Nahyeli answer listener Jessica’s question about how to translate “something else altogether”. 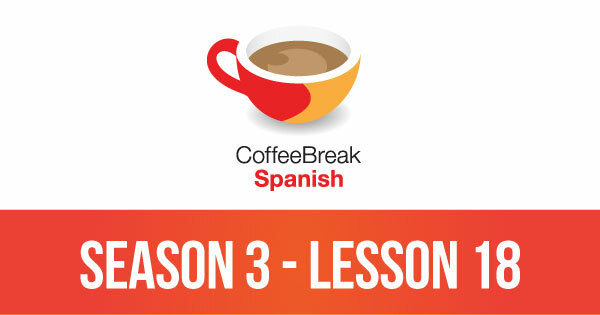 In episode 18 of Coffee Break Spanish Season 3, Mark and Alba talk about the advantages and disadvantages of buying things online, and share their experiences both positive and negative. In this week’s intermedio, Alba presents the city of Granada in the south of Spain, and José talks about ways to describe someone whose head is always in the clouds.